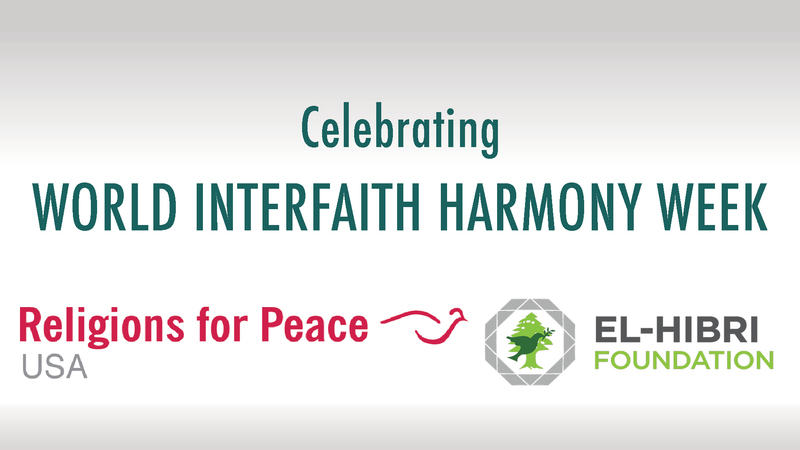 Washington, DC - During the month of February, the El-Hibri Foundation (EHF) is releasing a series of short educational videos inspired by World Interfaith Harmony Week (WIHW). The videos are viewable here. In 2014, EHF and Religions for Peace USA (RFPUSA) co-sponsored a “Best of Interfaith Webinar Series” for WIHW, featuring leading experts in the field. A short summary video of the highlights from that series is available here and the whole series is viewable here (rows 3 to 5). Based on feedback from the thousands of viewers to that series, in 2015 EHF and RFPUSA are making a series of short educational videos featuring leading experts on their top 10 learnings in their key area of work. They are dense, to-the-point learning opportunities for those interested in advancing interreligious cooperation. 3) "10 Things You Must Know About Advancing the Role of Women in Religion"
Videos will be released throughout the month of February. As a lead in to the series, Katherine Marshall of the World Faiths Development Dialogue and the Berkley Center for Religion, Peace, and World Affairs, interviewed EHF's Director of Outreach and the Mosaic Initiative, Bud Heckman, about the how he got into interfaith work, where interreligious cooperation is going, and what World Interfaith Harmony Week means to the uninitiated. The interview is accessible here.